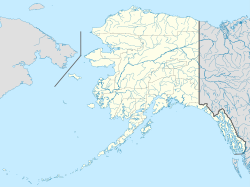 Thorne Bay is a city in Prince of Wales-Hyder Census Area, Alaska, United States. At the 2010 census the population was 471. ↑ 1996 Alaska Municipal Officials Directory. Juneau: Alaska Municipal League/Alaska Department of Community and Regional Affairs. January 1996. p. 150. ↑ 2015 Alaska Municipal Officials Directory. Juneau: Alaska Municipal League. 2015. p. 154. ↑ "2016 U.S. Gazetteer Files". United States Census Bureau. Retrieved Jun 22, 2017. This page was last changed on 28 June 2018, at 04:41.